Skirt. top & shoes, New Look. Chain, Primark. Just a quick one of my other day's outfit. 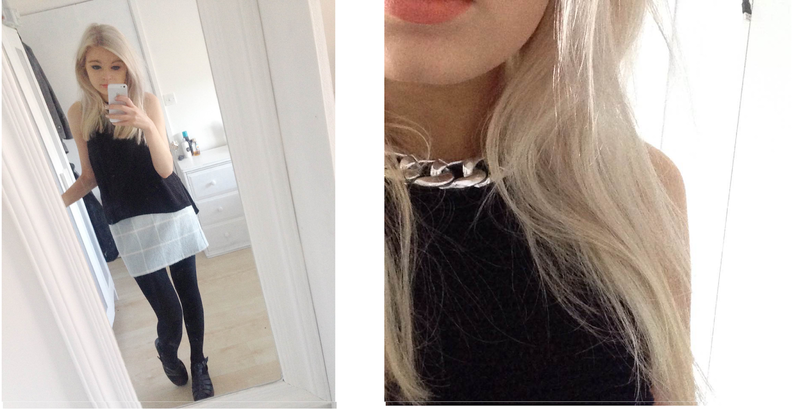 Coral lips, silver chain, grid skirt, and chunky caged shoes. 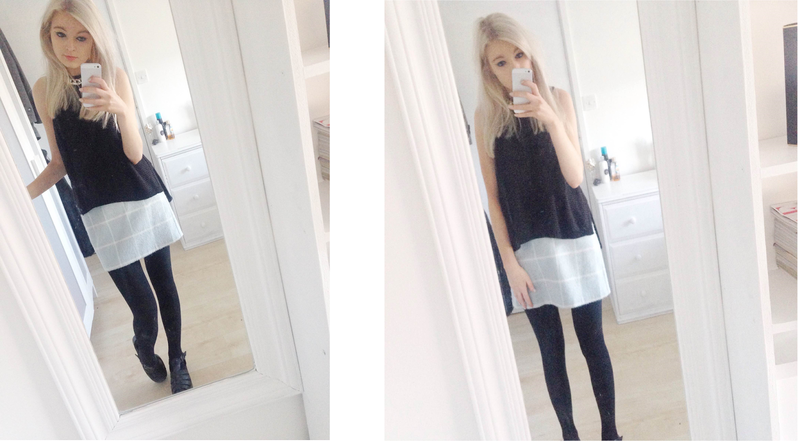 A easy outfit to chuck on for work and a skirt I have already talked about on the blog. I have been loving mini skirts at the minute. The whole 60's vibe has been in, A check, grid or plaid skirt, with a long sleeved turtle neck top = perfect. Throw a boyfriend coat into the mix and some over the knee boots - which I have yet to decide if they would work for me and to find the right pair if I was to invest in some. Beautiful! The coral lips suits the 60s monochrome style. Love!